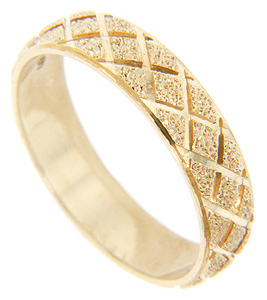 A textured diamond design is delineated by smoothly finished diagonal lines on this 14K yellow gold men’s estate wedding band. The ring measures 5.25mm in width. Circa: 1980. Size: 10. Cannot be resized.